This was finished Monday night so I got it done just in time for the Q2FAL2014. The Linky party at The Littlest Thistle Can be found here. 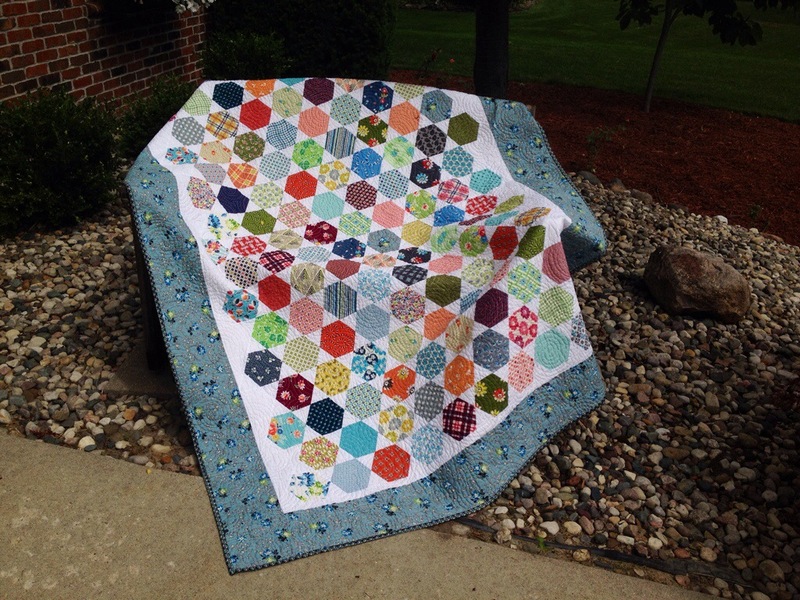 And now, finally, my Denyse Schmidt hexie quilt! It was a bit windy when I was taking pictures. I am linking up with Crazy Mom Quilts for Finish it up Friday, and Sarah at Confessions of a Fabric Addict for Can I Get a Whoop Whoop? 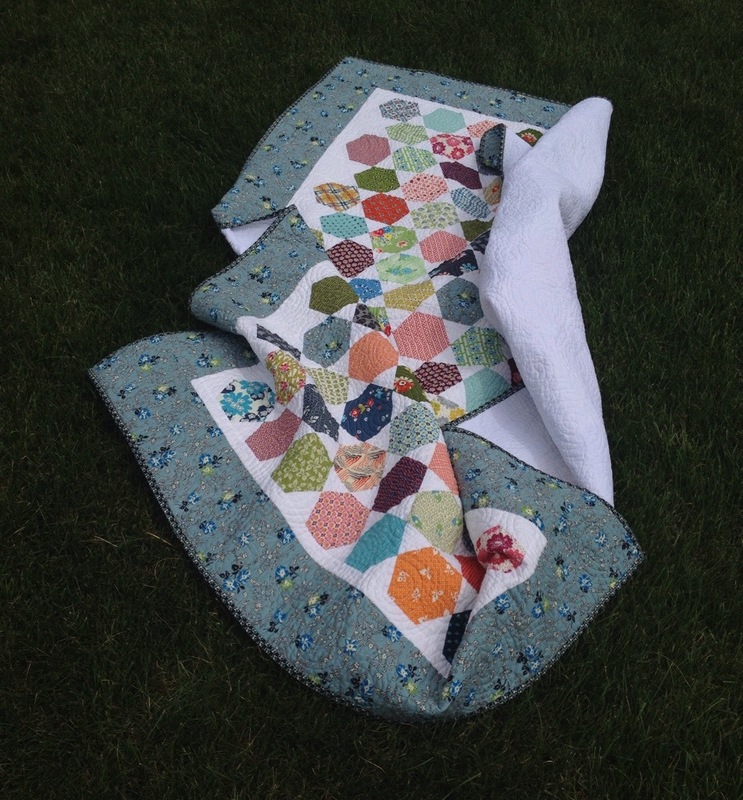 , and a Quilting Readers a Garden for Hexie Weekend. 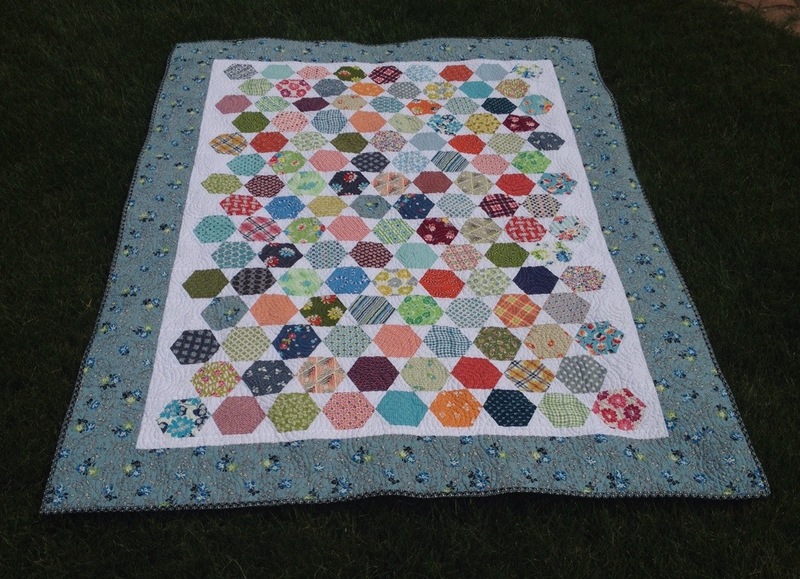 This entry was posted in FAL 2014, Finishes, Fresh Modern Quilts. Bookmark the permalink. 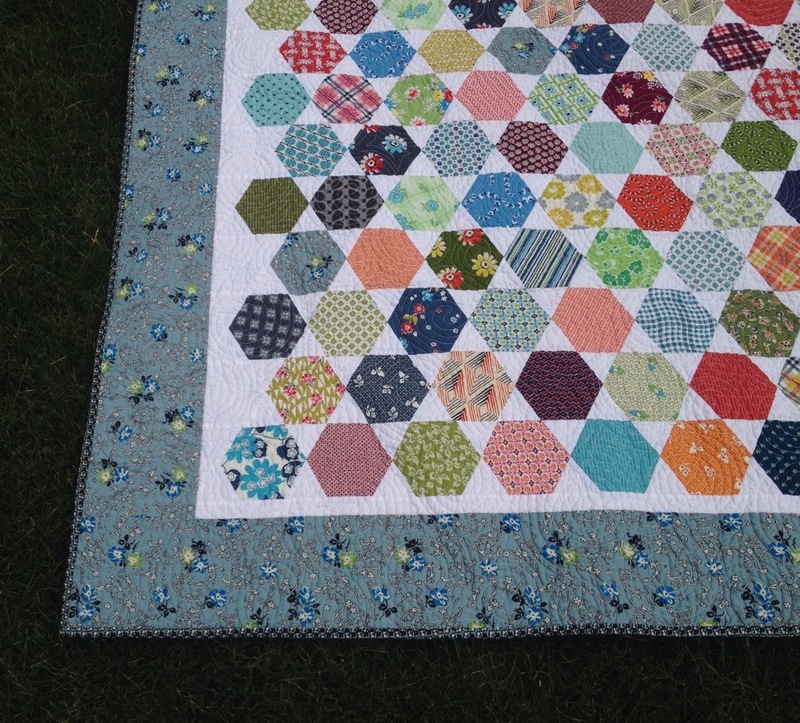 What a great hexie quilt! 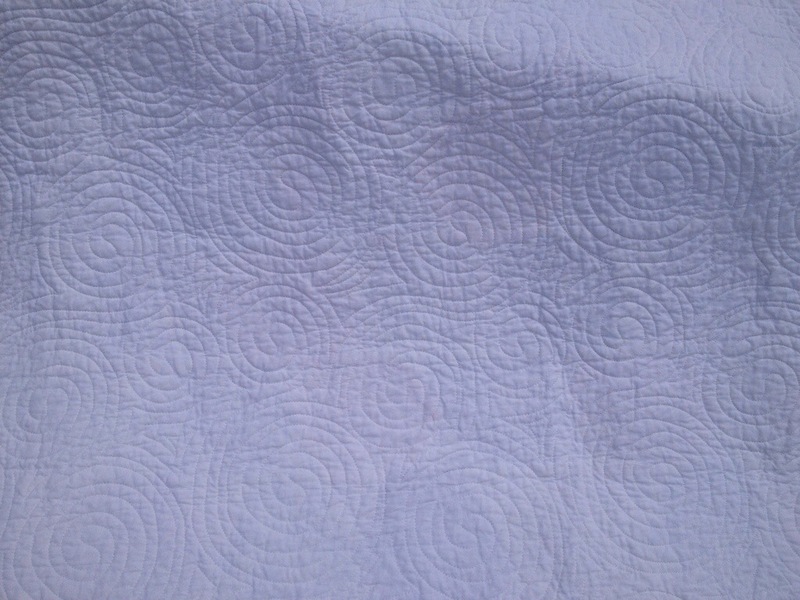 And I love the quilting pattern you chose. Love it! and thanks for linking to Hexie Weekend. A little bit traditional, a little bit modern! I think it is great. I am a big fan of Denyse’s designs. 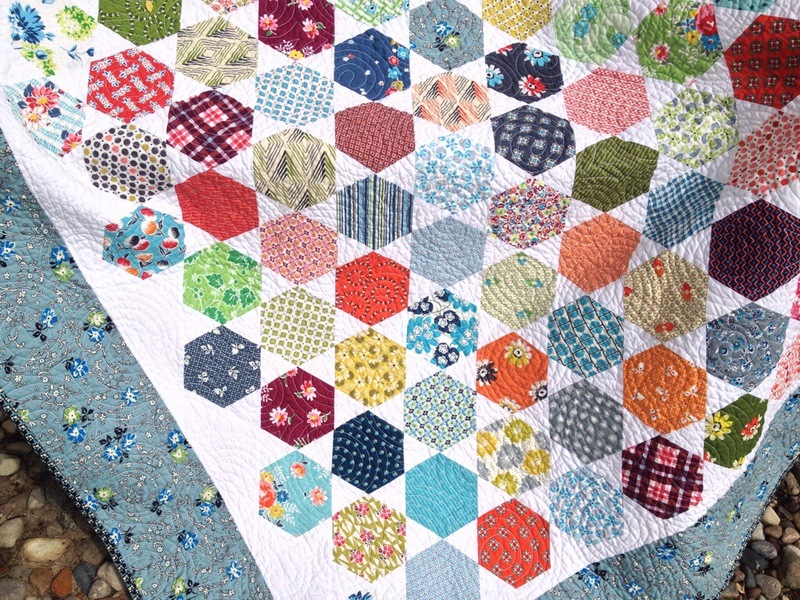 It’s awesome that you’ve managed to curate such a collection of them in this sweet quilt. Love it! Your border fabric was a great choice! It makes your hexies take center stage. Very nice. I like how you added the white for background – really shows off the hexies.